I moved this site from the domain forevergeeks.com to ittutorials.net a few weeks ago because I think the latter domain makes more sense for the type of content I publish here. The concerned I had about the move was that I’ve been using forevergeeks.com for a long time ( almost 10 years ) so there are many links and people that would get cut off if I did the move without implementing a redirect. I didn’t want that to happen, I wanted a seamless transition from the old domain to the new one without breaking any link or cutting people off when they type in the URL directly. That will actually redirect your entire website domain to the new domain, as simple as that. The process is pretty much irreversible, or a least hard to reverse once you’ve done it, so make sure you are all set to do the move when you put that code in your .htaccess file. If you are only changing the domain name of your site, then that redirect above should take care of it, but if you are changing the permalinks structure as well, then the process gets a little bit more complicated. I use WordPress for this site, and I changed the permalinks from %postname% to %category%%postname% and I used this plugin to accomplish that. it does the job beautifully. Follow the wizard to guide you through the process of changing URLs. Its pretty straightforward. 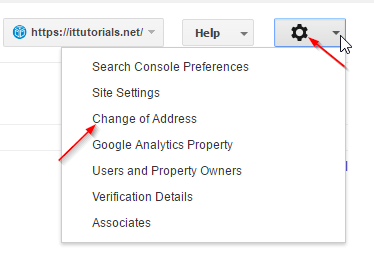 Follow the step by step instructions on how to change the URLs. Will traffic to your site be affected with this site move? Yes, mostly search engine traffic will be affected. I noticed Bing was quicker to pick up the changes than Google, but from what I read online, all sites are different when doing 301 redirects, so your experience might be different than mine when you do it.